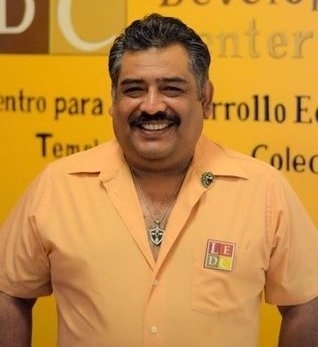 Ramón León is the founding Executive Director of Latino Economic Development Center (LEDC), a nonprofit membership organization serving over 300 businesses in South Minneapolis. León also serves as the chair of the economic development committee of the National Association for Latino Community Asset Builders. Prior to joining LEDC, Mr. León was the founding President of Cooperative Mercado Central, a co-op marketplace that houses 47 small businesses and has sparked the revitalization of Lake St. in Minneapolis. LEDC is perhaps best known for its work in helping develop the Midtown Global Market, a multi-ethnic marketplace that opened in 2006 and brings together Latino, Somali, and other immigrant vendors in non-profit owned public marketplace under one roof. Tell me a little bit about your background and how you came into community development work. When I came to the United States, I came from Mexico and I come from a business family. My family owned a business in Mexico for generation. When I came to the US in 1987 in California, I started my own business. I did the same when I came to Minnesota I started getting involved in social justice issues. I realized that a lot of people who didn’t speak English suffered the consequences of not speaking it well and not knowing the system or understanding the laws. I began to work to find ways to overcome them. In 1991, when I came to the state of Minnesota, we started to push the religious leadership the Archdiocese that would give services in Spanish in Minneapolis. That’s how the Church of Sagrada Corazón was founded. People stated to complain about several issues. Because of my business background, people would ask me questions of how I got set up. So I used to guide people. The most important reason I became involved is I realized we were talking about social justice issues that were easily solved when economic power is built and exercised. When I started listening to particular people, they started complaining. After services we would meet in the basement of the church for coffee, tamales, atoles. We would talk about police harassment, INS [Immigration and Naturalization Service, now Immigration and Customs Enforcement or ICE] issues, and education issues. We would talk about how their children were segregated into a corner because they don’t speak English well and there were not enough bilingual teachers. The newcomers in the 1990s didn’t speak English. Most of them did not. Because of their undocumented status, they didn’t have access to higher education. But a number of them used to operate businesses in Mexico. They would say, “I had a business that was fairly successful. If I could open my business and be successful I would give back.” All of the people started talking about forming a Latino banks. We need business opportunities. Back then there was not a single Latino business in Minneapolis. I understood that. I came from a business family. Social responsibility is taken seriously. We formed several teams to attack those problems: education, health, immigration, and economic development. We formed a joint committee on immigration and the econ development team of which I was the founding president, which ended up with Mercado Central, which now has 47 businesses. We asked CDCs to provide help. We formed a partnership with Interfaith Action (which provided leadership training). We formed a partnership with Neighborhood Development Center for microenterprise trainings. We worked with a Community Development Corporation. Another organization, called Project for Pride in Living: offered to buy an existing building that was in bad shape, renovate it, and give it to us. So we had community organizing, real estate organization, and community development come together. What were the origins of the Latino Economic Development Center? How has the organization’s relationship to the community from which it emerged evolved over time? From the experience with creating the Mercado Central, we decided Latinos needed to face their own issues, take responsibility fore our own growth, and develop that capacity. So that was why we formed LEDC, there was not a formal organization. The organization was born and the vision was ambitious: we wanted to have a Latino credit union or bank, we wanted scholarships regardless of documented statues, we wanted to have other economic opportunities (whether buying a home or starting a business). We also wanted to form an organization that supported a socially responsible business community. It is easy to forget that social injustices exist. Sometimes we are our own victimizers. When we have employees we treat them in a way that we don’t want them to be treated. Mercado Central took four years to develop. Back then no one believed us, not even our own people. I belong to Interfaith Action, a faith-based social action org. I invited people to join. They asked me what it would take – you’re going to open what? How much will it cost? Are you crazy? I don’t even have documents. Why open a business? So I can lose it? The Mercado Central had $800,000 in sales in first 3 months. After 5 years, it had annual turnover of $7 million a year. At least three of the businesses that first started in the Mercado now have combined sales of $3 million each: Tortilla la Perla, Taquileria la Hacienda and Cafetería La Loma; Cafatería La Loam now makes tamales all over the state of Minnesota. One business has 60 employees. What is the membership and size of LEDC? We have 350 businesses. We also decided to limit the membership. Members acquire not only rights but also responsibilities. They get the right to 20 hours of technical assistance, but we have only so many staff that can provide that assistance. We decided to focus the membership in the Twin Cities. We also made it a little more difficult to become a member. If you take a training session, then you can make a decision to become a member. You have to name a representative to the organization, but the most critical one is to commit to being a socially responsible business owner. This can mean different things at different times. Sometimes it means treating your employees well, sometimes it means providing incentives to employees, and sometimes it means getting involved in your community. Each year, we provide an award every year to the most socially responsible business of the year. Describe in a little more detail the Mercado Central project and why was it set up as a cooperative? When we started talking about business opportunities in 1992, people asked, “Why don’t we form the Mercado similar to what we had in Mexico? In Mexico, you have a Mercado where the people who shop there and work there live in the neighborhood. The money that moves and is spent stays in the neighborhood. That to me is strong community development. There are also business advantages of being together. When you have those kinds of businesses all in the same place, you have more traffic. They can do marketing together. They can share earnings or losses. The co-op, which owns the building and elects the board, reinforces this. The way this worked is the sponsoring team started to recruit members of the co-ops. A business could buy a share for the Mercado for $1,000. One additional criterion would be taking the entrepreneurial trainings. We also decided that nobody would own a piece of the Mercado Central. When they leave, they can take the business itself – they own the name, but they can’t sell their share. If you leave you can only sell your share back to the co-op. Describe the Midtown Global Market project. As I understand the project it was a four- way partnership in which LEDC owns a 25-percent share. What challenges did working in this partnership entail and how were those challenges overcome? It wasn’t easy, but it was not extremely difficult. We got involved in that particular project when LEDC did not have any capacity. At the time, the staff was just myself and I was part time. When we learned that a 40,000-square-foot store was going to come into our community and wipe out our local businesses. We felt we had at least the obligation to let the Latino community know what was going on and work on an alternative. We had been working with Mike Tamale at the Neighborhood Development Center. I knew they had capacity and I came to them and told them we need to get involved. We met and talked more about it. Mike started conducting his own exploration and decided to get involved. We then invited the African Development Center and the Phillips Cultural Wellness Center. We formed several teams. One worked on the legal part – ownership. One worked with the overall general contractor. One worked on architecture. One worked on tenant recruitment. One worked on financial assistance for start-up businesses. One worked on fundraising for the entire project. One worked on historic tax credits. Honestly, I don’t know how we overcame all of the challenges. But one of the most important traits is that we were willing to listen to each other and accept mistakes and respect for each other. As part owners of the global market, does LEDC earn any income? Not yet. It was a $19 million project. Most of the financing is from New Markets Tax Credits and similar sources. When the investors get out, then we [the four partner nonprofits] will get 100%. In the meantime we collect rent to pay the master lease and common expenses. So the businesses are basically being subsidized. Eventually they’ll be able to pay normal rental fees. Then we’ll have earnings. In the meantime we don’t. One thing to note: We bought the first floor from the City for a dollar, but we still have to pay real estate taxes. In Mexico, the municipio [local government] is the partner so it doesn’t charge real estate taxes, which also helps a lot for the businesses being incubated there because that money can be used for something else. Any lessons that you think others can learn from your experiences? From all of the markets we’re engaged in, we learned a lot. One thing that has been forgotten in much of the United States is that public markets are community development tools. They are a very important part of the community. There are many aspects to this work: real estate, loans, community organizing, training, business incubation, facility development, business development, and market management. We have started to write a curriculum with money from the Annie E. Casey Foundation. Theme public markets are very effective business incubators and tools for strong community development. There are many lessons to be learned. Right after it opened I started getting calls from different parts of the country, asking us to assist. We didn’t have any money, so we cannot take on the work. But I tell them, “Just come.” It’s not only sharing, but also advising them on other issues. I always highlight the immigrant community. There is a strong determination to succeed. I also say we are wasting skills. We should put our efforts with the people we know are more likely to persevere and are determined to succeed. These happen to be immigrant communities. If others want to do this, that’s good too. But you need to focus on the assets. Don’t focus on the weaknesses. In 1994, there was not a single Latino who owned a building on Lake Street and the buildings that were there were nearly worthless. Now there are over 30 Latino business owners. Now the buildings cost more than a million dollars. Enrique Garcia started at $7 an hour as a dishwasher. Now he owns a business worth $3 million a year. That is wealth creation. Family ownership. Something you pass to the next generation, if the next generation is advised and educated to take over. Describe the scope of your organization’s work. You began in the Lake Street area of South Minneapolis. How far have you expanded beyond the initial area? We now are a statewide organization. We go to any community. Latinos outside of the Twin Cities also need economic opportunities. We have a lot of energy. Rural communities of Minnesota approached us. For instance, we were asked to come to Eden Prairie. They asked us to come. We went. And we saw that they were making a mistake if they bought the building – it was not viable. So we told them it was not a good idea to buy it, but we can help you work on individual businesses. Our general approach is that we have decided instead of providing direct technical assistance to focus instead on building the capacity of local organizations to assist bilingual Latinos. We implemented a “train the trainer” program – we train people as community organizers and business-related technical assistance providers. Unlike many community development organizations, LEDC has chosen not to focus on housing? Why is that? We know there are a lot of needs in terms of housing opportunities. But we decided to form a partnership with an existing organization that did that. Eventually I know we will do it, but it is not the right moment right now. According to the Census, between 1990 and 2007, the Latino population in Minneapolis expanded from 2 percent of the city’s population to 9 percent? What factors are behind this rapid growth? In some neighborhoods the percentage of Latinos is even higher: some are 25 percent. There are several reasons. Economic opportunity is one of them. Second, the state of Minnesota became a portal area not only because of this, but because people here are more open to provide opportunities than denying opportunities to newcomers. If you look at some other states, they have much worse anti-immigrant issues. There is a huge difference between putting up blocks and helping you access the opportunities. The Latino community here is seen as a contributor, not as a burden to the community. Does working in the Twin Cities present any unique challenges or opportunities compared to other areas, such as California? When I was in California I was more dedicated to the success of my business than doing social justice work. But there is a huge difference. In California, the Latino business community has been there for hundreds of years. In the Twin Cites, it’s only been around 15 years. That’s an advantage and a disadvantage. The disadvantage is that we didn’t have anything. The advantage is that we could start anew. In this particular case we decided to have social responsible business – we are very intentional. Of the 300 Latino businesses in our area, a third are socially responsible – that’s a very large percentage. In California, they were not intentional when they started their business development. The challenges and opportunities are different. In California if you were Latino, it would be more difficult to succeed. In 1991, I planned to move to Chicago. But a cousin of mine from Minnesota said to me, “Why are you are going to Chicago? It is the same as California. There are a million Mexicans there. A business will have a better chance to succeed here.” I came and I never left. Why? We have a better chance to succeed not only in the Latino community but also in our whole community. How has South Minneapolis and the community LEDC serves been affected by the credit crisis? In part because of the language barrier, we tend to ignore what is happening. But actually the bigger problem has been anti-immigrant sentiment. I’m an American citizen but in most Latino immigrant families there is at least one person who is not documented – that make us cautious. With a number of thriving Latino business, once raids happen, those businesses fail. It is hard to run a business when you rely on a buying power that might not be here tomorrow or workers who might not be here tomorrow. You serve on the board of the National Association of Latino Community Asset Builders. What role does it play in asset building for Latino organizations? For me, it is an organization that is critical that it exists. When we began, we didn’t have any experience in community development. I was really impressed in 2003 because I saw all of these people who have been involved in community development for 30-40 years. I observed that all who are in Texas, California, New Mexico, and Colorado. I said: “You are very fortunate. You have a lot of capacity. We don’t.” But we have some advantages. All of our people are seen as diamonds. Why? It is because we are not many. I rely on the association to find economic development lenders. You know the difference between an economic development lender and a loan officer? A loan officer only sees numbers, but an economic development lender sees people and takes risk. In the Latino community we don’t trust people who don’t understand the legal and cultural barriers that we face. I felt more comfortable when I knew there was an organization that served our community. We also benefit the more experienced members. Those organizations that have existed forever need to know there are growing Latino communities up here. We need to be a strong part of the whole body. How do you see race impacting asset building? If you pay attention, on the issue of racial difference, there are policies that benefit white communities. The reason why Native Americans don’t have anything is because everything was taken. Blacks were slaves for 200 years, but even after slaves were freed there was a huge barrier that was put that has separated many blacks from opportunity. Same things with the Asians; they were brought in to work to the railroads; when they were finished, many of them were sent back. We need to reduce the racial wealth gap that exists. We need to force the government to generate policies to reduce the gap. In Minnesota there is a campaign to work to end poverty in 2020. If we don’t adopt aggressive policies, we won’t achieve that goal. What about LEDC’s work are you most proud of? For the Latino community, they know they have a place to go. They didn’t go to others. Why? We are the same people. They consider us, them. As a whole, thanks to the work we have done and because the organization works to make a contribution to the community, the whole community sees us as a contribution not as a burden. It is really difficult to top that. Making the people aware that we exist here, not just for our own benefit, the Latino community benefit, but also for the community as a whole. Everyone learns from everyone whether we have a good or a bad experience. Sometimes we tend to be forgotten. Why? Probably it is because white people are still in power and are still making most of the decisions. They don’t always acknowledge minority achievement. When we opened Mercado Central, I said to the foundations and others present, now you can see your money is not wasted. Our achievements are not always acknowledged in the way they should be.